Very nice bungalow with 2 large bedrooms with hardwood floors, dry full basement, 1 car detached garage, and private backyard. Alley access to garage. Nice eat in kitchen with gas range and refrigerator. GFA heat and A/C. 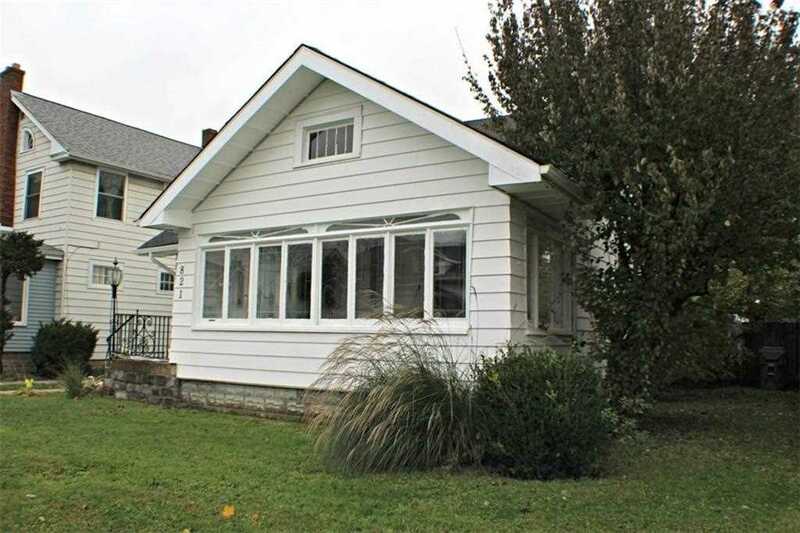 Very well maintained, and wonderful screened front porch to enjoy the outside. Price has not changed since being added to the site on 3/27/2019. Directions: From Columbus Ave, turn west on 29th Street. I was searching for a Property and found this listing (MLS #21629373). I would like to schedule a showing for 821 E 29th Street Anderson, IN 46016. Thank you! I was searching for a Property and found this listing (MLS #21629373). Please send me more information regarding 821 E 29th Street Anderson, IN 46016. Thank you! Home for sale at 821 E 29th Street Anderson, IN 46016 with the MLS 21629373 on TuckerCrossroads.com. The home at 821 E 29th Street Anderson, IN 46016 is currently for sale and features 2 bedrooms, 1 bathrooms, 1848 sq. ft. of living space, and is listed for sale at $48,000. You can search Indianapolis area properties for a home, a house, a condo, or a patio home to find real estate in Indianapolis, IN. You are viewing the official Indianapolis MLS listing details of the home for sale at 821 E 29th Street Anderson, IN 46016 which is MLS # 21629373. The home has been listed on this site for 25 days and is found in the Colonial neighborhood.